Hoofed mammals are called Ungulates. A hoof is simply an enlarged toenail. All such animals belong to the taxonomic group “Ungulata”. 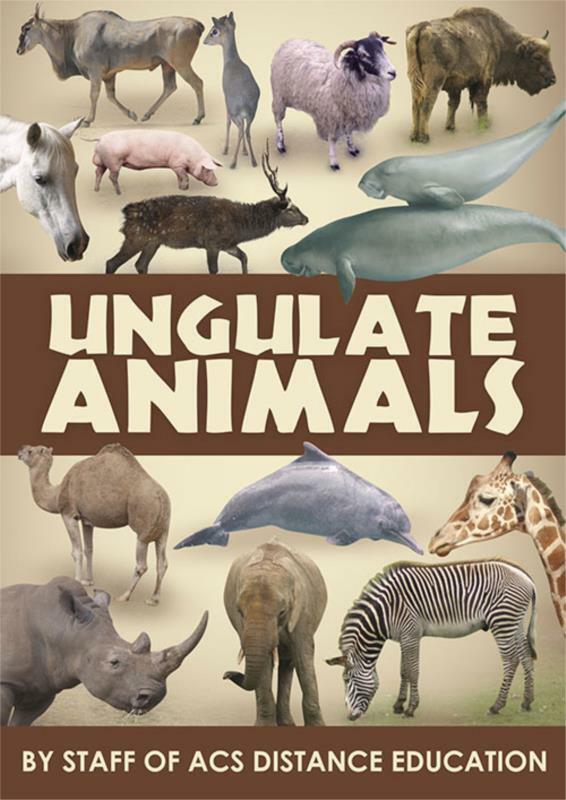 This book captures an enjoyable compilation of factual information about the biological characteristics and significance to humans that various types of Ungulates possess. Learn what differentiates groups of ungulates from one another – how do their physical characteristics, behaviours and distributions differ? This 104 page book is a captivating read, including a wealth of knowledge about these unique mammals and a beautiful array of complimentary photos. The book is primarily aimed at people with an avid interest in mammals and those wishing to specialise in their learning of mammals. It is a great reference point for someone undertaking animal studies and for anyone studying an ACS Distance Education course in Wildlife, Zoo Keeping or Vertebrate Zoology, it would make a fantastic complimentary study guide.